Join fellow TBBA members for an evening of networking and Lightning fun! 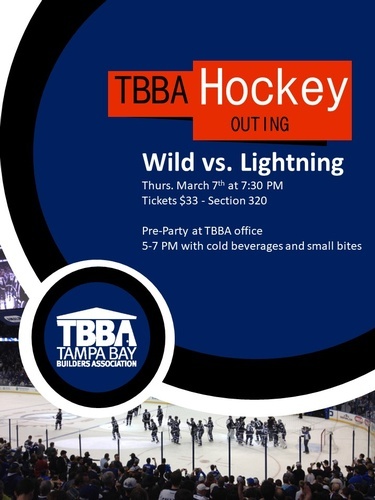 The TBBA will host a pre-party from 5 PM to 7 PM at the office in downtown Tampa and then head over to the Amalie Arena for the Minnesota Wild vs. Tampa Bay Lightning! Group tickets are located in the section 320.